Here's more evidence of how watching TV programs is changing: according to part two of a TV viewer survey fielded by NATPE and CEA, 71% of respondents said they have streamed full-length TV programs in the past 6 months. No surprise, Netflix was the go-to source, with 40% having watched there, followed by 26% for YouTube and 25% for network web sites. Nielsen has released its Q3 '14 Total Audience report (which is the new name for the previous quarterly Cross-Platform report), the highlight of which is the marked reduction in linear TV viewing across every age group except 65+, with an accompanying surge in online video. I charted the new Q3 '14 data vs. Q3 '13 data below. The big quarter-vs-quarter change that pops out is the 19.2% reduction in linear viewing per week by adults 18-24. This age group is now watching 17 hours, 34 minutes per week, which is 4h, 11m less than the 21h, 45m a year ago. While this group increased its online video usage by 20.7%, that only accounted for 25 incremental minutes per week. A new survey of local TV stations by video marketing platform provider Mixpo has found that between 58%-70% of local TV stations' online tune-in campaign budgets (depending on market size) are allocated to online video ads. 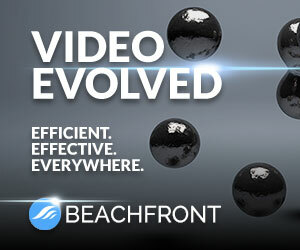 Fully 85% of local stations intend to use online video advertising for tune-in campaigns in 2013. Keeping this in perspective though, online advertising still only represents 14%-24% of local stations' tune-in ad spending, with stalwarts radio and cable still leading. However, online advertising already has strong buy-in from stations, with between 86%-100% reporting that they'll use it in 2013. And online advertising is poised to get a greater share of stations' ad budgets, as between 36%-57% of stations said they intend to increase online ad budgets. Video advertising would be a clear beneficiary of such moves. Lots more happened this week in online/mobile video, and so to make your lives easier, VideoNuze is once again curating 5-6 interesting industry news items that we weren't able to cover this week. Read them now or take them with you this weekend! The WSJ reported this week that Thursday night TV viewership (live or recorded) among 18-49 year-olds is down 4.3% this season to 48.5 million, a drop of 2.2 million viewers. For this age group, the drop across all nights (live or recorded) is 2.7%. While the decreases have immediate implications on networks' ad revenue, the bigger issue of course is what the drops say about shifting consumer preferences. For example, I continue to hear anecdotes about users with connected devices now tuning in first to their Instant Watch queues instead of channel surfing or visiting their DVR libraries or VOD. The Nielsen data corroborates other data (here, here) about the decline of TV viewing, especially among young people, and is another reason why broadcast networks in particular should be embracing connected devices like Google TV, not blocking them. Speaking of networks and their online distribution, this week CW released some interesting new data that detailed extremely low abandonment rates for its shows consumed online, even with ad loads almost equal to those on-air. While it is too early to generalize, the data provides a very encouraging sign that networks may be able to achieve parity economics with on-air, even when they window their online releases for delayed availability. It's also an important sign that online video may be a firewall against DVR-based ad-skipping. In addition to releasing stellar Q3 earnings this week (albeit with a bigger-than-expected subscriber loss), Comcast also pulled the "beta" label off its Xfinity TV service this week, and relaxed its rules about who can gain access. Now any video subscriber, regardless of who they take their broadband Internet service from, can access XFTV. Some began to speculate that it could be a precursor for Comcast allowing non-video subs to also gain access to XFTV. This is the concept I wrote about in over a year ago, in "How TV Everywhere Could Turn Cable Operators and Telcos Into Over-the-Top's Biggest Players." The idea is that TV Everywhere services like XFTV could be offered outside of Comcast's franchise areas to allow them to poach video subscribers from other pay-TV operators. It's still a fascinating concept, but nothing about Comcast's move this week suggests it's coming soon. If you think all that Netflix and other long-form streaming is going to strain users' bandwidth, think again, as yet another cable operator/broadband ISP, 9th-largest Insight Communications unveiled plans for a speedy 50 megabit per second broadband tier. Big players like Comcast and Time Warner Cable have been offering this for a while already. It's still very pricey, but as some viewers shift more of their consumption to online and away from conventional TV viewing (see above), more bandwidth will be worth the price. Update - I missed this item, that over in the U.K. Virgin Media began taking sign-ups for a 100 Mbps broadband service. Net, net, last-mile bandwidth will keep expanding to meet increasing demand. Fresh evidence this week that YouTube is finding innovative ways to monetize its massive audience: the company's performance-based "Promoted videos" format achieved its 500 millionth view, just 2 years after being introduced. With Promoted videos, anyone uploading a video to YouTube (brand, content provider, amateur), can buy opportunities to have that video appear alongside relevant keyword-based searches in YouTube. It's a similar format to AdWords, and of course the video provider only pays when their video is actually clicked on. As I said recently, YouTube is becoming a much more important part of Google's overall advertising mix, while for many brands, YouTube's home page is fast-becoming the most desirable piece of online real estate. It's Friday and that means that once again VideoNuze is featuring 5-6 interesting online/mobile video industry stories that we weren't able to cover this week. Have a look at them now, or take them with you for weekend reading! Dueling initiatives from Nielsen and comScore were announced on Monday, aimed at translating online usage into comparable TV ratings information, including reach, frequency and Gross Ratings Points (GRPs). While online video ad buying is ramping up, the tools to measure viewership in a comprehensive way have been lacking. This is one of the main issues holding back content providers from participating in TV Everywhere. New research shared this week by BTIG analyst Rich Greenfield concludes that less than 8% of the market is actually interested in cord-cutting. The big impediment: losing access to sports and cable programming, which is unlikely to migrate to free over-the-top alternatives. Greenfield's conclusion is that cord-cutting isn't a major threat to pay-TV operators over the next 3-5 years. Notwithstanding the research, another factor I'd point to that could tip cord-cutting the other way is consumers' belt-tightening. Much as nobody wants to lose access to programming, if the price is perceived as too high, they'll make compromises. Abandonment rates for online video have always been a concern, and using new research, Visible Measures CMO Matt Cutler now quantifies the behavior. Expect 20% of the audience to drop out within 10 seconds of hitting play, 33% by the 30 second mark and 44% by 60 seconds in. 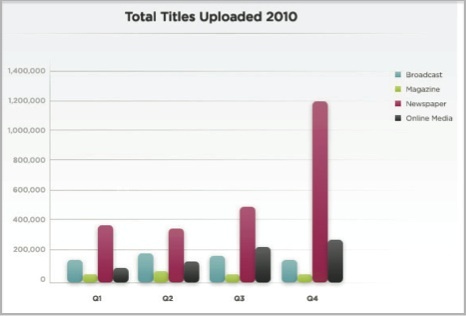 Pretty sobering data but incredibly important in thinking about content creation and monetization. On the one hand, Hulu's network partners, ABC, NBC and Fox are reportedly pulling back ad inventory that Hulu is allowed to sell, yet on the other, Hulu is reportedly out aggressively selling ads in Hulu Plus, its subscription service. Meanwhile this week Hulu also announced that Hulu Plus will be accessible on both Roku devices and TiVo Premiere, as it continues chasing Netflix in the subscription game. Apple TV devices started shipping this week, and reviews began popping up all over the web. This mostly positive review indicates that the user experience is solid, but that content selection is still skimpy. That's no surprise given how few deals Apple has struck to date. Yet to be seen is how Apple TV performs when it can access other iOS apps. Daisy Whitney and I are pleased to present the 65th edition of the VideoNuze Report podcast, for June 18, 2010. This week Daisy and I return to the topic of cord-cutting, with Daisy tamping down some of what she reported about possible momentum here. Daisy cites new research from Nielsen and from Leichtman Research Group as evidence that in fact cord-cutting isn't actually happening (at least not yet). For my part, as I've said going back to my post in Oct, '08, I don't see much cord-cutting happening any time soon, both because viewers would lose cable TV network programs they love and because it's still not mainstream to connect broadband to TVs. We then discuss my post early this week about ABC doubling the ad load on its iPad app, and soon on ABC.com as well. As I said earlier this week, it's tough from a consumer standpoint to see more ads, but the reality is these programs need to be effectively monetized, or well, these programs will cease to exist. An article I read last week in Mediaweek about new comScore research which concluded more ads are tolerable in online-delivered TV programs really intrigued me. The research was presented by Tania Yuki, comScore's director of cross media and video products at an Advertising Research Foundation meeting. I called Tania to follow up and learn more about the data. Today I'm pleased to share her presentation with the research findings as a complimentary PDF download. Outside of the ARF meeting, this is the first time this data has been made available. As VideoNuze readers know, I've been a proponent of increasing the number of ads in online TV shows, in order to improve their economics. Note, I'm not advocating a jump to 18-20 minutes of ads typically found in on-air distribution that would likely turn users off. But I do believe that the current model of 3-4 minutes of ads in premium network programs is way too light, and that viewers will tolerate more without any drop-off in usage, particularly if the ads are well-targeted and engaging. ABC has told me in the past that research it conducted when it experimented with doubling its ad load corroborated this point, just as the comScore research now does as well. Just last week the CW announced it would double the number of ads in its online-delivered programs. Increasing the number of ads - and thereby strengthening the economic model for online-delivered TV - is critical for the industry to succeed long-term. The current lack of economic parity between online and on-air is gaining urgency; just last week when Hulu blocked access to its content via the new Kylo browser (meant for on-TV browsing), we were reminded of the absurd lengths to which the popular site will go to prevent its viewership from migrating to TVs. This is because Hulu was conceived as an online-only augment. Given its lack of economic parity with on-air (or with DVR viewing, as ABC.com is now achieving), Hulu on TV would undermine its owners' P&Ls. The new comScore research concludes that viewers will tolerate 6-7 minutes of "total advertising time" during online-delivered TV programs. And note that this response reflects expectations of conventional advertising. I think it's quite possible that if respondents had been shown the kinds of targeted, entertaining and interactive video ads that blip.TV and others are now offering, they would have said their tolerance would be even higher. Providing further comfort that more ads are reasonable, when asked about the most important reasons for watching TV online, the answers were first, "Missed an episode on TV" (71%) and second, "Convenience" (57%). A distant third was "Less ads" (38%). Ad avoidance is important to online viewers, but it isn't their sole motivator. The comScore research further underscores the growing importance of online, particularly in terms of raising programs' visibility and sampling. For example, for people who watch both on TV and online, an "online video site" (28%) is already the third most-cited way of discovering new TV shows, following "TV advertising" (59%) and "Friend/family member recommendation" (44%). Related, 28% said that they believed that if they hadn't been made aware of their favorite program online first, they probably wouldn't have discovered it on TV, and therefore would have missed the show entirely. Across all respondents, 20% of shows watched regularly had been watched first online. As Tania reminded me, TV is still by far the dominant platform for viewing TV programs and that it's important to remember that online-only viewing is nascent. ComScore's research found that only 6% of respondents tune-in online only, though another 29% view both online and on-air. The key for me is looking toward the future. When the 6% of online-only viewers is broken down by age groups, about 75% are between 18-34. And if my 8 and 10-year old kids are any example, no doubt that those under 18 are only going to be even more avid online video viewers. In order for the TV industry to succeed in the future, it is essential that the business models to sustain online viewing be figured out pronto. For this research, comScore which surveyed 1,825 people from its U.S.-only panel, weighted to match the total online population in age, income and gender. The research was conducted between Dec. 30, 2009 and Jan. 22, 2010. It was not sponsored by any third-party. A reminder that if you're keen on this topic, join us for the complimentary April 8th webinar, "Demystifying Free vs. Paid Online Video" and then at the April 26th VideoSchmooze in NYC, where our panel topic is "Money Talks: Is Online Video Shifting toe the Paid Model?" (early bird tickets now available). 1. FCC raises "Open Access" possibility, would further government's control of the Internet - As reported by the WSJ this week, the FCC is now considering an "Open Access" policy that would require broadband Internet providers to open up their networks for use by competitors. The move comes on top of FCC chairman Julius Genachowski's recent proposal for formalizing net neutrality, a plan that I vigorously oppose. Open Access gained steam recently due to a report released by Harvard's Berkman Center that characterized the U.S. as a "middle-of-the-pack" country along various broadband metrics. The report has been roundly dismissed by service providers as drawing incorrect conclusions due to reliance on incomplete data. The FCC is in the midst of crafting a National Broadband Plan, as required by Congress, aimed at providing universal broadband service throughout the U.S. as well as faster broadband speeds. Improving broadband Internet access in rural areas of the U.S. is a worthy goal, but the FCC should be pursuing surgical approaches for accomplishing this, rather than turning the whole broadband industry upside down. As for increasing speeds, major ISPs are already pushing 50 and 100 mbps services, more than most consumers need right now anyway. Broadband connectivity is the lifeblood for online video providers and any government initiative that risks unintended consequences of slowing network infrastructure investments is unwise. 2. Broadcast TV executives waking up to online video's challenges - Reading the coverage of B&C/Multichannel News's panel earlier this week, "Free Streaming: Killing or Saving the Television Business" featuring Marc Graboff (NBCU), Bruce Rosenblum (Warner Bros.), Nancy Tellem (CBS) and John Wells (WGA), I kept wondering where were these sentiments when the Hulu business plan was being crafted? Hulu is of course the poster child for providing free access to the networks' programs, with just a fraction of the ad load as on-air. While the panelists agreed that the industry should be dissuading consumers from cord-cutting, Hulu is (purposefully or not) the chief reason some people consider dropping cable/satellite/telco service. For VideoNuze readers, it's old news already that broadcast networks have been hurting themselves with their current online model. What was amazing to me in reading about the panel is that what now seems obvious should have been very apparent to industry executives from the start. 3. Motorola Droid sales off to a strong start - The mobile analytics firm Flurry released data suggesting that first week Verizon sales of the Motorola Droid smartphone were an estimated 250,000. Flurry tracks applications on smartphones to estimate sales volume of devices. While the Droid results are lower than the 1.6 million iPhone 3GS units sold in that device's first week, Flurry notes that the iPhone 3GS was available in 8 countries and also had an installed base of 25 million 1st generation iPhones to draft on. The Droid's success is important for lots of reasons, but from my perspective the key is how it expands the universe of mobile video users. As I noted in "Mobile Video Continues to Gain Traction," a robust mobile ecosystem is developing, and getting more smartphones into users' hands is crucial. I was in my local Verizon store this week and saw the Droid for the first time - though it lacks some of the iPhone's sleekness, the video quality is even better. 4. AOL's downsizing suggests further pain ahead - AOL was back in the news this week, planning to cut one-third of its employees ahead of its spin-off from Time Warner on Dec. 9th. The cuts will bring the company's headcount to 4,500-5,000, down from its peak of 18,000 in 2001. As I explained recently, no company has been hurt more by the rise of broadband than AOL, whose dial-up subscribers have fled en masse to broadband ISPs. Now AOL is going all-in on the ad model, even as the ad business itself is getting hurt by the ongoing recession. New AOL CEO Tim Armstrong is clearly a guy who loves a challenge; righting the AOL ship is a real long shot bet. I once thought of AOL as being a real leader in online video. Now I'm hard-pressed to see how the AOL story is going to have a happy ending.